There’s always the skilsaw and hand sander route! Probably what I’ll end up doing when the day comes that I finally take the modular plunge. @tehn, any updates on when the full case will be available? while I’m patiently awaiting news on the specs/cost/availability of the full Isms system, can we revisit it being too shallow for Expert Sleepers modules? as it appears that the only computer interconnectivity for Isms is its inbuilt switch for the Grid, is there a vision of how one may integrate Isms with their DAW? I love the idea of one compact system. 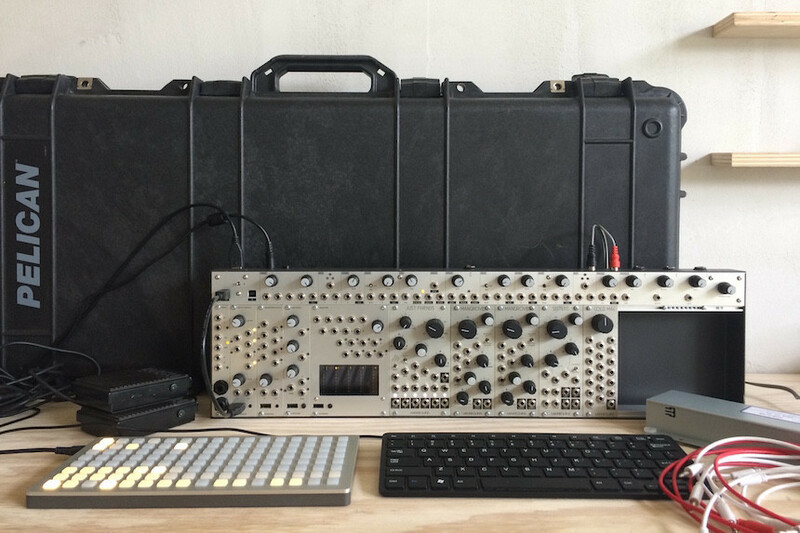 a coherent design in just 120hp of 4U …but I also love the thought of a modular and Live working in tandem… realistically, a second case is probably inevitable but with Monome’s computer-based history I just wondered what may have been envisioned for Isms in this regard. Being a complete newb here, I read every thread and pondered whether I should post in this here… What I am wondering is if there is an article, book or a simple ‘Modular for Beginners’ post that anyone knows of that is comprehensive, yet actually written for beginners. I’ve read a lot of what is available online and large percentage of that is so dumbed down I’m beyond it, or still incredibly complex and I can’t quite grasp it. I’ve decided to make the plunge and order a grid, and the idea of having a small, self-sustaining instrument with unlimited sound capabilities is extremely attractive to me. Watching all of the tehn videos has inspired me to no end. Just created a new topic with links to a bunch of videos on the subject of learning modular synthesis. Intellijell uMidi might fit. If I recall, the Mutable Instruments Yarns isn’t too deep either. Has anyone taken isms on a plane yet? – is it one of those things you need to get a nice case for (pelican) and check, or can it make carry on somehow? i haven’t done it yet, but the pelican 1700 is super tough. i’d check it. (granted, gear insurance might be worth it). but i could imagine if you work out a small/tight softcase you could carry it on. I’ll have to check out the size. There was some company or person who made pretty nice soft cases for the op1, maybe I’ll ask about an isms custom one. Can’t wait to set mine up tonight. Brian & I are so happy to announce the availability of the isms system. A complete composition and performance system replete with all the pieces necessary to make expressive sounds & musics with your modular synthesizer. It represents a culmination of our last 2 years of Eurorack manufacturing, along with a decade of grid development, and feels like a veritable ‘electronic instrument’. Last night we had the pleasure of performing with our individual systems. Afterward we had a great conversation about how it’s taken until now, with a specific performance opportunity, for us to fully realize these as instruments through which we can express our own voice. Personally it feels like a chrysalis moment where I’ve found a new sonic direction and a clear method for creating these new sounds. Here’s hoping it can have a similar impact on a few of you. congrats guys! that is a solid looking system. still loving my isms, i highly recommend it to anyone who hasn’t yet jumped onboard. Looks great! Need a shot of it inside the case – does the grid/keyboard fit in too? Need a shot of it inside the case – does the grid/keyboard fit in too? Limited edition of ten…whose going to step up? If I didn’t already own most of it, I would be all over that!